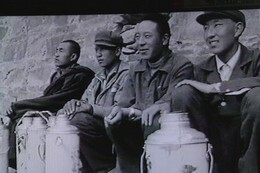 Selected by LE MUSÉE GUIMET and in the International Festivals of Madrid, Barcelone, Paris (CINEMA DU REEL), Intermédia. 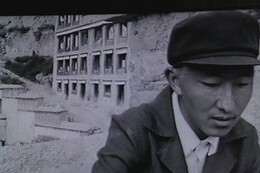 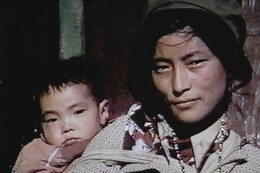 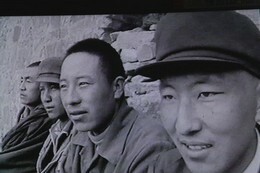 This documentary was shot in 1985 in Lhassa, the capital of Chinese Tibet, temporarily reopened to foreigners. 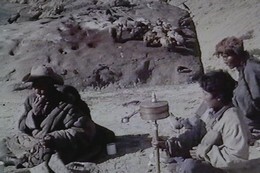 From prayer wheels to thermos jugs full of burning hot tea perfumed with yack butter, and including traditional burial during which the body is left to the vultures, many details of the daily life of Tibetans are presented here, alternating with images of the great temples, such as the Jokhang, and of course the Potala, which was the official residence of the Dalai Lama until 1959.